“ASHI” Inspectors are the only ones certified by The National Commission for Certifying Agencies. This is the highest level of inspector in the country. Can I give more than five stars?!?! Thomas was great, he was so professional with his inspection yet he explained everything so you can understand it. I will make sure he does every inspection that me or my family will ever do in the future. Not afraid to get on the roof, unlike some inspectors, and he really works for YOU the BUYER. He will make sure you know what your getting and that is a fact. Thanks Thomas, good job! We are relocating from St. Louis to the New Orleans area and had Sunshine Home Inspection inspect our potential new home. Thomas was OUTSTANDING! His attention to detail, professionalism and honesty exceeded our expectations. This was, by far, the best inspection process we’ve had in our 6 home purchases. My experience was a little unusual. I hired Thomas to give me his professional opinion and advice on some work I was preparing to do on my house. Thomas explained everything so that I could understand it and the price for his time and expertise was quite reasonable. He saved me a great deal of time and money by explaining which improvements were, and which were not worth making. He explained the pros and cons of foam sealing, radiant barrier, and other insulation that I was considering for my attic and crawl space. He also gave me a checklist of things to look for after the work was completed. I was very satisfied and pleased that I went to him for help. Fantastic inspection experience! 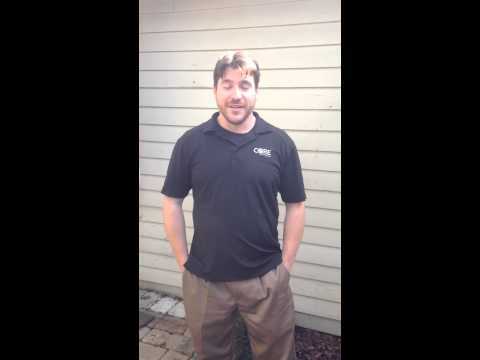 As a first time homebuyer Thomas took his time to explain each observation from a functional, safety oriented, and aesthetic level. He seemed to catch anything and everything that was less than perfect. 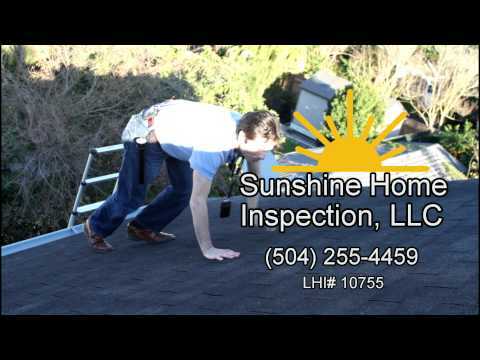 I highly recommend Sunshine inspection for a through, honest home inspection. Thanks again Thomas! Prompt service. My husband and I are moving long distance to New Orleans, so we were not able to be there for the inspection. However, the level of detail in the report and the inspector’s willingness to talk with us about his findings and suggestions made me very comfortable. I would definitely recommend Sunshine Home Inspection. Sunshine Home Inspection is the most thorough in town. This is an industry with high liability and most inspection companies get sued repetitively. But we never have been! We take our time and do the job right, without shortcuts. We encourage you to follow along with us during your inspection so that you can keep an eye on everything. We believe in transparency. Thorough inspections translate into great online reviews. Even though we have the best Angie’s List and Google ratings in Southeast Louisiana, we keep our fees competitive, with several other companies having higher prices than us. The ASHI gold seal, at the top of our webpage, represents the highest level of inspector in the country. ASHI stands for the American Society of Home Inspectors and is the only inspection institution accredited by the National Commission for Certifying Agencies. Our owner is ASHI certified. We hold several certifications including mold. Our owner has a Master’s Degree in Science so we focus on the science of a home. Our savvy clients care about the health of their families and we find mold/lead/asbestos issues in many homes around New Orleans. We will keep you safe and save you money at the same time. Imagine the cost of remediation. We commonly see it run into the 10’s of thousands. That is why you can’t afford a cheap inspector. We’re not bottom feeders. Cheap inspection companies do quick inspections and go for volume to make their money. Not us! We do forensic inspections and expert witness testimony. “Forensic inspections” deal mainly with unique home deficiencies regarding science and health. Most of our cases involve mold issues, lead issues and other inspection companies that are getting sued. A significant amount involve structure. We are proficient at identifying structural issues with raised homes and take extra continuing education classes in this area. We do commercial inspections including clear span metal structures, brick warehouses, strip malls, motels and hotels. You can be sure you are hiring a smart and ethical firm to investigate your property. There is no conflict of interest with our company and we look after your fiduciary interests. "ASHI" Inspectors are the only ones certified by The National Commission for Certifying Agencies. This is the highest level of inspector in the country.